We support the pursuit of individual spirituality within a community of diverse beliefs. 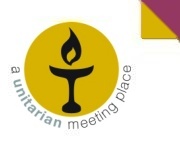 Unitarians in Stockton are a community united in a spirit of mutual tolerance and respect that recognises the worth and dignity of all peoples and their freedom to believe as their conscience allows. Unitarians have been in Stockton for worship and celebrations for over three hundred years. Occasionally held at different times for special services.